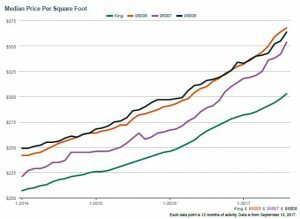 Median Price per Square Foot – for zip codes 98006 98007 98008 – Median Price per Square Foot for the three zip codes for the 2014 through 2017 time frame. Note that the graph also shows King County, Washington data. 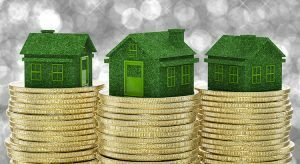 Median Sales Price – for zip codes 98006 98007 98008 – Median sales price for the three zip codes for the 2014 through 2017 time frame. Note that the graph also shows King County, Washington data. Click on the below links to see new listings, pending sales, closed sales and more for August, 2017. These reports detail activity in the 98006, 98007 and 98008 zip codes in Bellevue and Redmond, Washington. Check out the listings and closed sales statistics for King County for June through August of 2017. These PDFs show figures for residential and condominium sales. King County Washington real estate market updates for 2015 and 2016. Note that these PDFs include both residential and condominium sales numbers.